If you're searching for a luxury vehicle that ticks every box, explore the Porsche Panamera at Hennessy Porsche North Atlanta. And with up to 330 hp and a 0-60 mph time of 5.4 seconds, this vehicle is a performance machine as well. Explore our Panamera inventory for sale in Alpharetta online before visiting us in person for a test drive. Why Choose a Porsche Panamera? When you're ready to further explore what the new Panamera has to offer, visit Hennessy Porsche North Atlanta near Smyrna! And if you're looking for an affordable used luxury vehicle option, explore our used Panamera inventory as well. 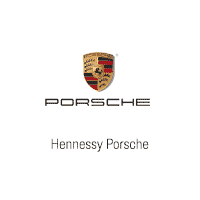 We look forward to helping you find the right Porsche model for your lifestyle and budget.